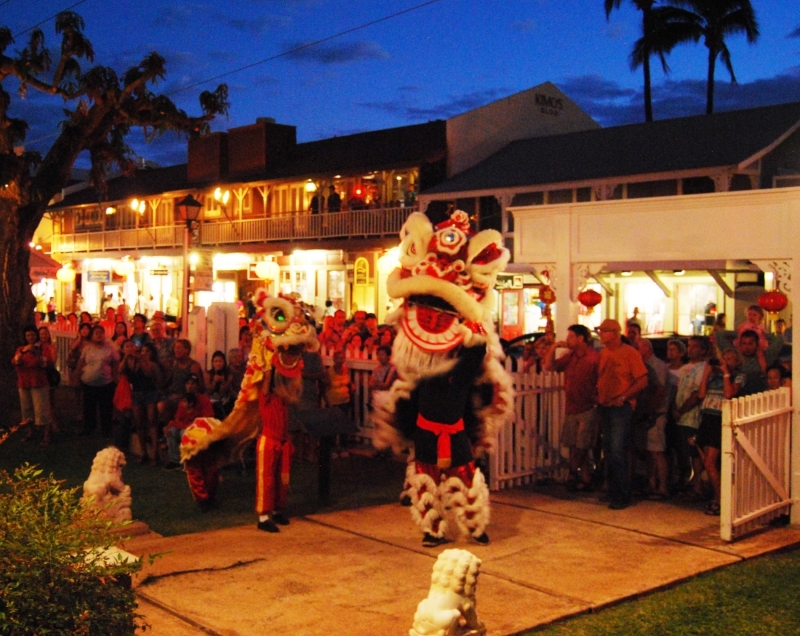 Ring in the Year of the Rooster in Lahaina during its annual lunar new year festivities. 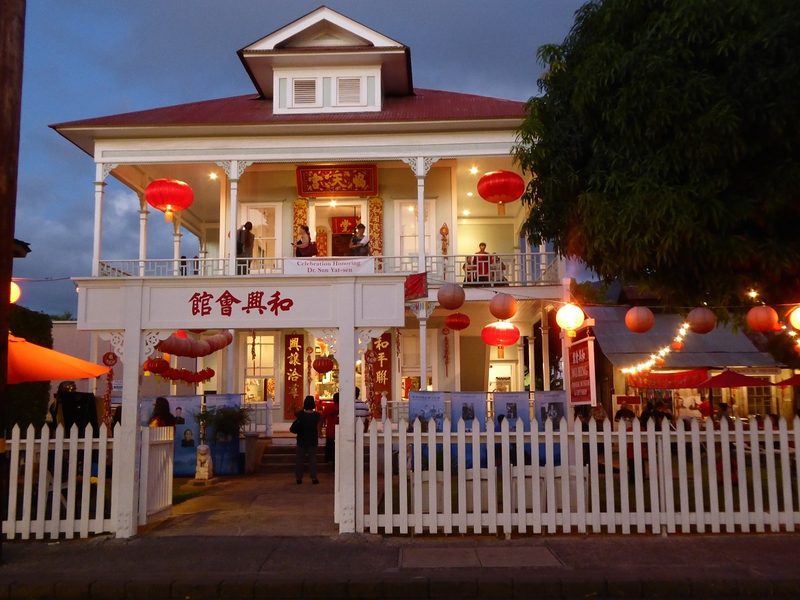 Lahaina Restoration Foundation invites the public to the Wo Hing Museum & Cookhouse on Friday, Feb. 3 for a full day of family activities, martial arts demonstrations and historical presentations paying tribute to Chinese New Year. The museum will be open between 10 a.m. and 8 p.m. with free admission. 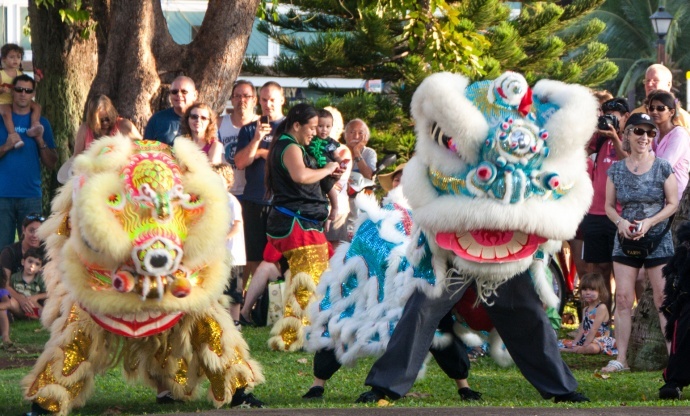 Exciting lion dances with drums, gongs and cymbals will be performed in the museum yard at 858 Front Street. The new year blessing by Au’s Shaolin Arts Society begins at 5 p.m. by the entrance to the Wo Hing temple building. Lai see envelopes will be handed out to feed the lions for good luck. After firecrackers are lit in the yard, the lions dance down Front Street, stopping in shops and restaurants until 9 p.m. The cultural celebration at Wo Hing Museum & Cookhouse features a variety of free activities between 2:30 and 8 p.m. To kick-off festivities, Dr. Busaba Yip will present the history of Chinese New Year and special guest, Dennis Ryan, will speak on the Rituals of Divination as seen in “bird script” on bones and turtle belly shells. This form of oracle writing, which is more than 3,000 years old, is thought to be the origin of Chinese calligraphy. Busaba and Dennis will do a second presentation at 6:30 p.m. Adventurers and historians on China’s kung fu martial arts, Dennis and Anita Lunt of Denver, Colorado return to the festival to demonstrate the Tai Chi Iron Fan art form at 4 p.m., and the Shaolin Animal Style Kung Fu martial art at 6 p.m.
After their performances, the Lunts will be signing their book of adventure stories with photographs from their travels, “10,000 Steps Straight Up: Inspirational Short Stories from Sacred Mountains.” They have documented the history, legends and folklore of Chinese martial arts in photos and videos from their trips to China. Cultural activities for all ages will be held from 6 to 8 p.m. in the museum yard. Kids can make Year of the Rooster paper lanterns. Chinese calligraphy will be presented by Amy Lum, and Brenda Wong will share the art of Chinese knot tying for those who want to give it a try. 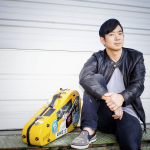 Hong Zhou will perform traditional music on the bamboo flute and erhu string instruments. Chef Bobby Santos will be cooking on a wok and offering samples of Crispy Cantonese Gau Gee. Teas will be served with fortune cookies under umbrellas in the Chinese tea garden. In China, Chinese New Year is not only the longest celebrated event but also the most important social holiday. The lunar new year begins on the second new moon following the winter solstice and ends two weeks later on the full moon. Today, the new year is a week-long public holiday so families can reunite and relax together, celebrating a year of hard work and offering wishes of good luck and prosperity in the coming year. This tenth year in the Chinese zodiac calendar is attributed to the rooster, and is said to be a year of powerful energy, financial windfall with hard work and a movement toward integrity. 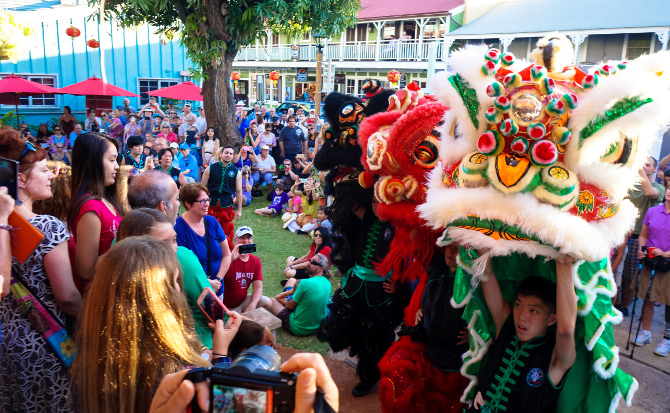 On Friday, February 3, join Wo Hing Society, LahainaTown Action Committee and Lahaina Restoration Foundation to celebrate the new Year of the Rooster in Lahaina. Sun Nien Fai Lok – Happy New Year! 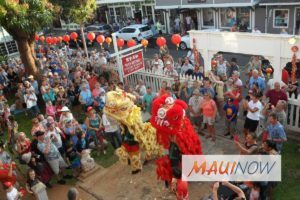 Chinese New Year is sponsored by Hawai‘i Tourism Authority and County of Maui Office of Economic Development. Wo Hing Museum 2014. 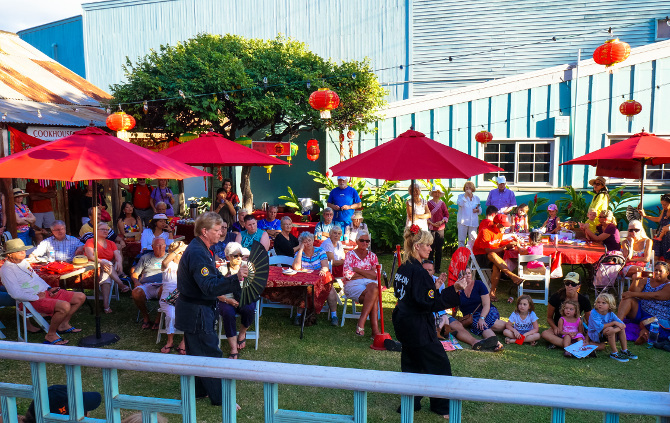 Photo courtesy Lahaina Restoration Society. Chinese NY16 at Wo Hing.